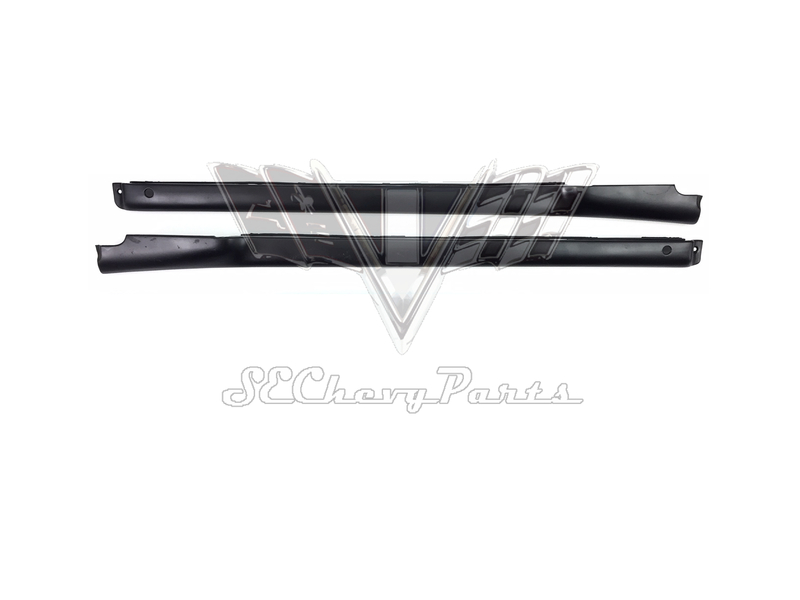 These 1957 Chevy 2-Door Hardtop Inner Door Garnish Moldings are original GM parts that have been restored. The original felt strip is still attached and will need to be replaced with new strips. Some pieces may have some minor pitting.